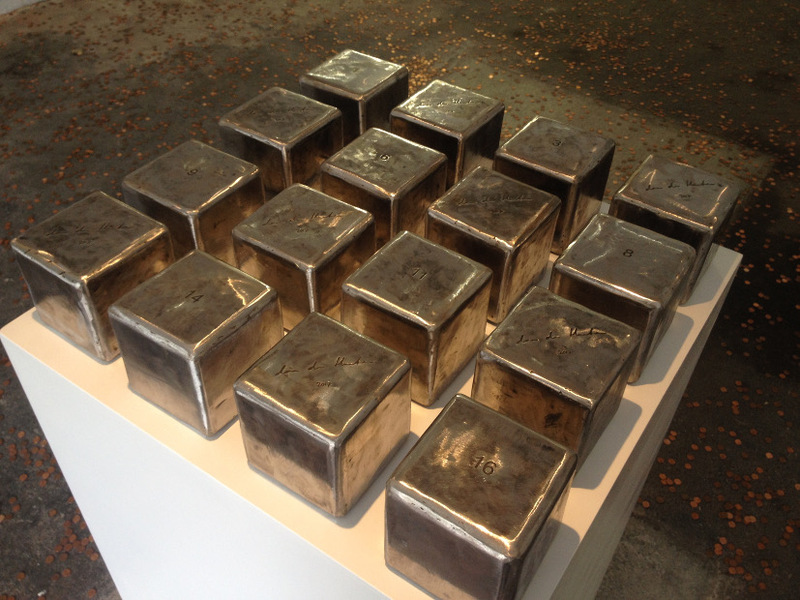 A series of 16 iron cubes with dimensions of 11cm x 11cm x 11cm. 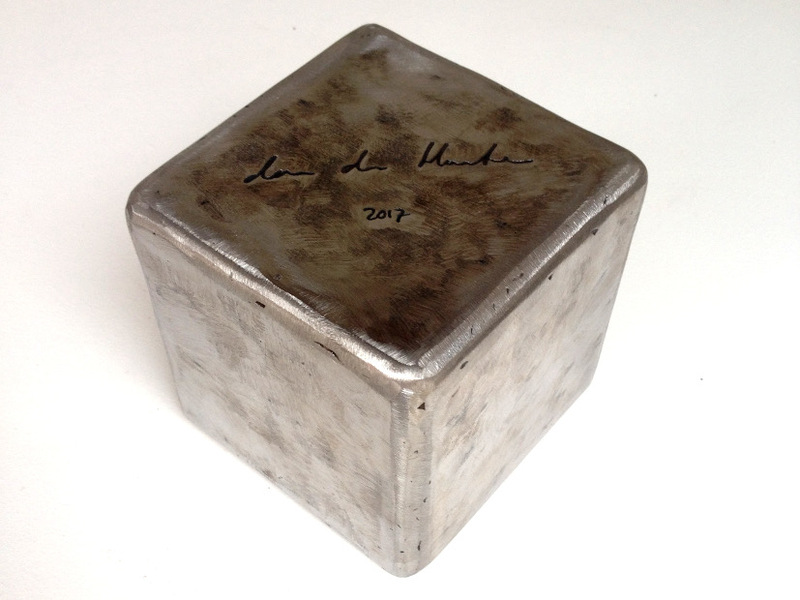 Each cube includes an engraved signature of the artist and the year 2017 on one side. On the other side is the unique cube number from 1-16. In one of the 16 cubes there’s a gold bar of 50 grams. The value of the gold bar when purchased on 14-06-2017 was € 1852. All 15 other cubes have an iron bar of 50 grams inside. These iron bars have no notable value. For € 345,67 one could purchase one of these cubes, but protected by the copyright of the artist, and the collective purchase of a dream, one can’t destroy the blocks without risking legal prosecution by the artist or one of the other owners.